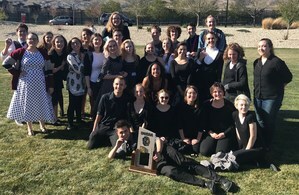 SPA Department of Theatre named 5A USHAA STATE CHAMPIONS in Theatre. Congratulations to all those who participated in the USHAA Theatre competition. Click on the link to view all the results. Congrats to the Department of Theatre for being named 5A USHAA STATE CHAMPIONS in Theatre.